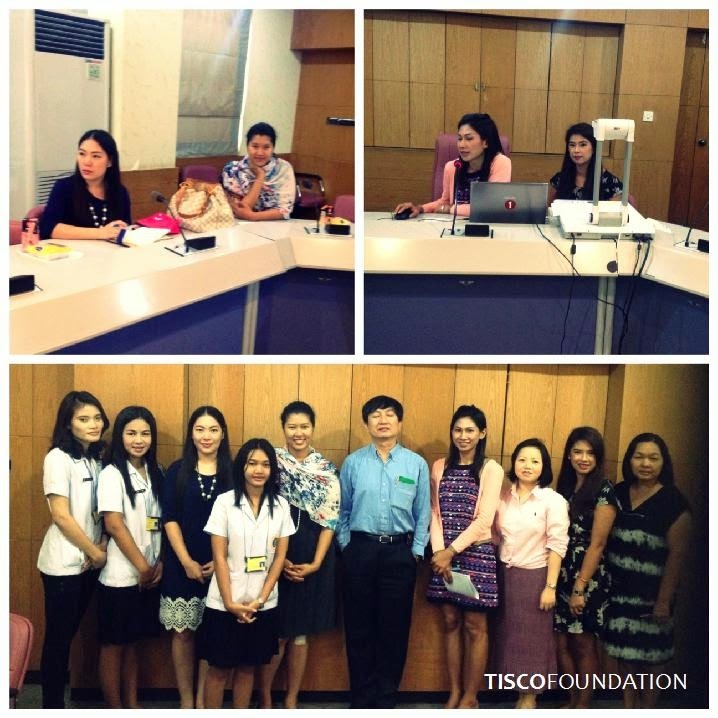 TISCO Foundation team met with a team of social workers at Samutprakarn Hospital on Apr 29, 2014. We learned about many good, proactive programs that they help patients and their family members to become self-sufficient, and we strongly admired their strong effort. The team's work philosophy is “we help you so you can live by yourself”. This brings about a holistic and proactive approach the team is using. The team visits patients' families on a regular basis to follow-up and ensure that their quality of life is improving continuously. One program they are working on is providing a grant and food to patients and their family on a monthly basis. We think that this is totally beyond their role as a hospital social worker. This actually made us think if what we are doing is enough while there are greater needs than just medical supplies.